Here are is an example of Astrolite bookends. Produced in quantity, sleek and modern, but also visually very interesting. 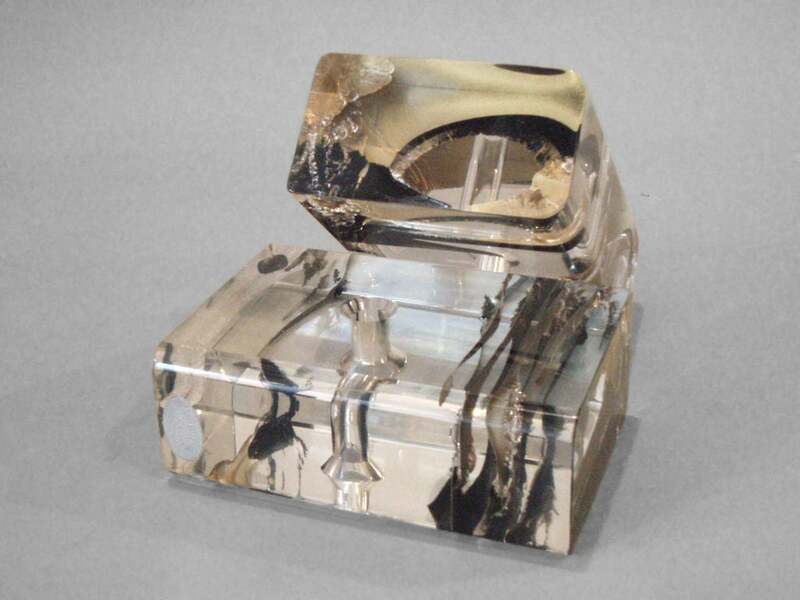 Description from seller: Acrylic bookends with molded metal decoration by Ritts Co, Los Angeles, “Astrolite” (foil label). 6” tall. Sold. Image source: modpie.